OPH Category: The cut-off scores for the respective category he/ she belongs to. Only those who score the above minimum cut-off in the Entrance Examination becomes eligible for admission. Please note that they only become eligible or qualified for admission. But, admission is given according to the ranks secured by the qualified candidates. 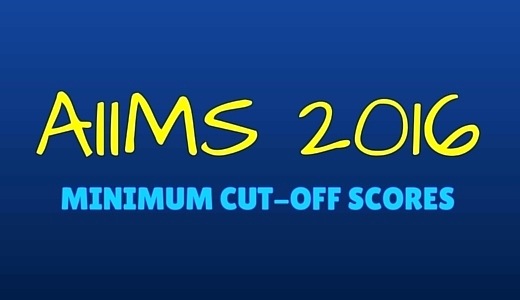 The 672 seats available in the seven AIIMS are filled in the order of the ranks obtained in the Entrance Examination. So, qualifying in the Entrance Examination does not guarantee a seat. Other qualified candidates may be called for subsequent rounds of counselling (Second, Third or Open Counselling) depending on the status of vacancies available.